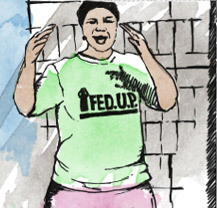 This blog contributes to a series called Community Voices; a blog space that shares the words of community members themselves. 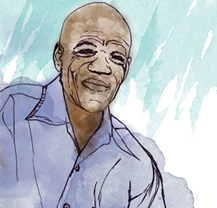 These stories— diverse yet unified – highlight aspects of the history, challenges and daily experiences associated with life in informal settlements. 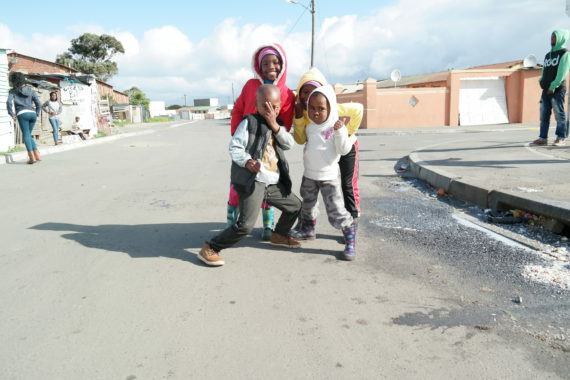 GxaGxa is a settlement located off the N2 highway in Gugulethu, Cape Town. Recently, community members here organised to complete household level enumerations of their settlement as part of gathering settlement wide data and identifying community priorities. Besides quantitative data gathered during the enumeration, qualitative accounts from settlement residents are crucial for understanding both the character of the settlement and social dynamics within it. 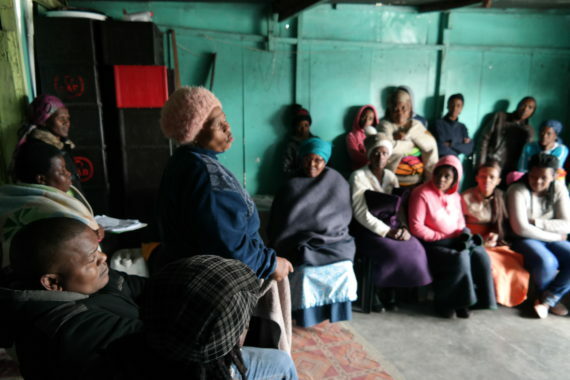 Therefore on a chilly Tuesday, situated in a bright, turquoise room, a group of GxaGxa community members gathered together to tell their stories of life in the settlement. 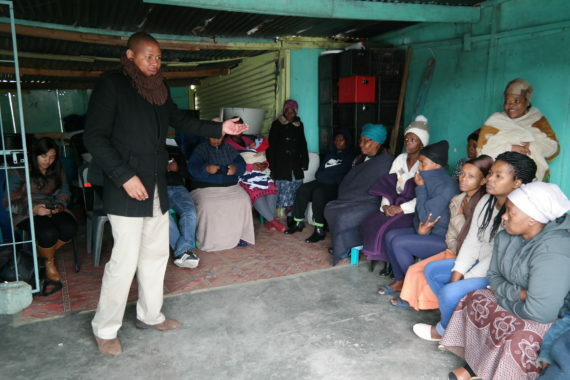 Community members were first addressed by Akhona Malangeni, an engaging and passionate leader of the Informal Settlement Network (ISN), who explained to them the importance of storytelling in gaining a community-based account of life in GxaGxa. Below Akhona addresses the community. “The name GxaGxa stems from the birth name of the first man who settled there. As a lone settler, GxaGxa lived in this area for a few years until circumstance caused him to move back to the Eastern Cape”. Community members seem to speak fondly of the late GxaGxa, who in 1987 was replaced by Mama Thembisa. Pictured below, Mama Thembisa now serves as a clear leader in the GxaGxa community. After a large group discussion, community members organised in smaller groups. In one conversation circle people were asked: What is the best part about living in GxaGxa? “The best part of being in GxaGxa is that we are a family. A lot of young people [that] live in this place do things in unity. Everyone knows each other—if you arrive here, people know you before they see you. We live in spirit. Young people respect old people. Old people respect young people. People are also not worried about crime”. The emphasis on community was echoed in many of the accounts coming out of GxaGxa. Correspondingly, people were asked: What is the difficult about living in GxaGxa? 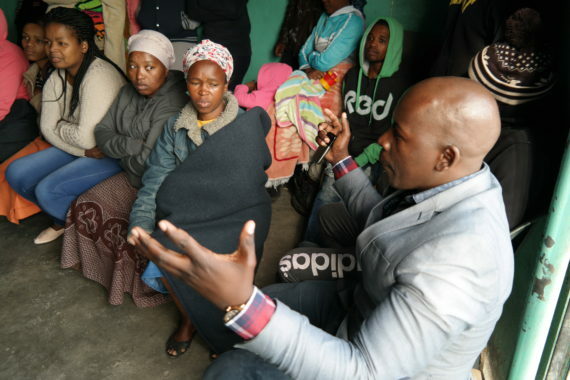 The conversation about life in GxaGxa continued, including stories about the more trying aspects of daily life such as challenges in access to adequate services, the lack of employment opportunities and the relationship with the municipality. Toilets –“Services [in GxaGxa] are poor and we are struggling because it is hard to get into toilets here. Many people who have their own toilets lock them. It is common for people to have to ask others for the key to the toilet”. Tap- “Sometimes the water is completely dry in the tap and there is no water all day. These days we don’t eat. So we have to travel very far for water. This can happen 2-4 times a month. It depends. It just happens”. Electricity- “We don’t have electricity. People share electricity. It becomes a problem when people don’t have money for paraffin. The streetlights are also off, which means it’s completely dark”. Management- “If it’s hot the sewage smells. There is also a pond in the middle of the settlement [behind Mama Thembisa’s house] that floods and brings in a lot of mosquitos. Drains are also blocked”. Indeed, references surrounding the danger of the pond were a common theme in settlement accounts. Above is a photo of the pond in the middle of GxaGxa. 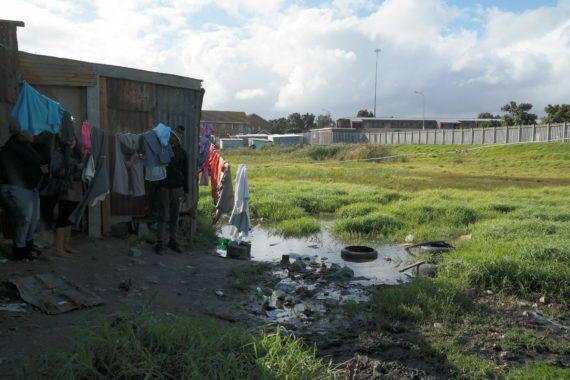 Showing the proximity of the pond to her room, Nosipho Magqaza says, “It’s not healthy to live here”. After sharing about their daily experiences, GxaGxa community members shared what they would like to see happen in their settlement. Community leader Nobuwe Biyane shared her wishes for GxaGxa. Another opinion came from Peter Somina, who shared his wishes for the community. Peter Somina as he addresses other community members.